What's the best way to make a single-client Report? 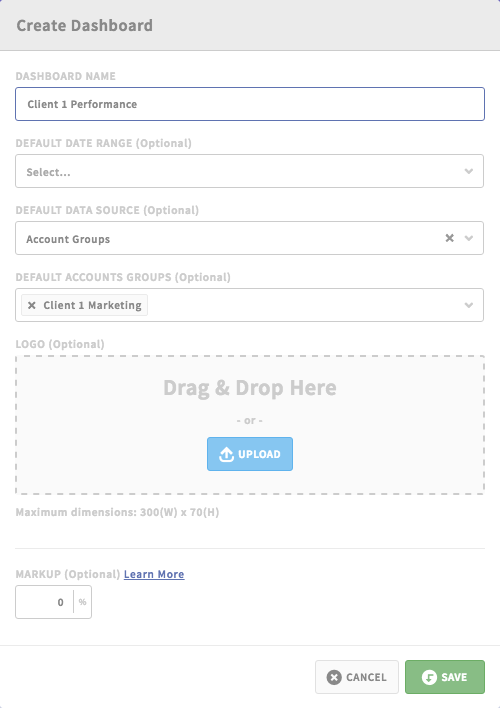 In AdStage, we use Account Groups to organize similar ad accounts, or ad accounts for a single client. In order to create a single-client Report dashboard, you'll need to create an Account Group for this client, then select the Account Group as your Dashboard Default Data Source in the dashboard setup modal. Click here for a step-by-step video walkthrough.